Unpaid Overtime Attorneys San Francisco, CA | Bracamontes & Vlasak, P.C. Some California employers take advantage of workers by intentionally paying “straight time” wages when they should be paying overtime. Over the course of months or years, failure to pay overtime can add up to thousands of dollars in lost compensation. Under California wage and hour laws, you (and your co-workers) may be entitled to recover your unpaid overtime. The knowledgeable San Francisco employment lawyer of Bracamontes & Vlasak, P.C., have held employers accountable for unpaid overtime plus penalties. Serving the Bay Area and surrounding Northern California, we represent employees in a broad range of occupations in wage and hour cases. Explore your potential claims in a free initial consultation. California law does not require employers to pay an extra rate for working on holidays. However, the Labor Code does require “double time” pay (a) after 12 hours in a single day or (b) after 8 hours on a seventh consecutive day. — Employers may incorrectly calculate hours worked or incorrectly apply the overtime rules (although they never seem to overpay workers). — Some employers simply refuse to pay overtime and may threaten employees with termination if they complain or file claims. — Some bosses even force workers to continue working “off the books” after 8 hours/40 hours without any additional compensation (straight pay or overtime) for those hours. — Some employees are misclassified as managers or administrators (salaried) or independent contractors to avoid paying overtime. The experienced lawyers of BV Law will pursue your back pay for unpaid overtime within the last three years, plus fines for each pay period in which the employer violated the law. We handle individual claims as well as lawsuits on behalf of groups of workers who have been systematically underpaid. 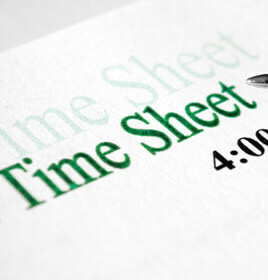 Contact our San Francisco unpaid overtime attorneys for a free consultation. If we take your case, there are no attorney fees unless we reach a settlement or win your compensation in court. Call 415.835.6777 or Contact us online.